The Book Chook: Let’s Celebrate National Science Week! Let’s Celebrate National Science Week! 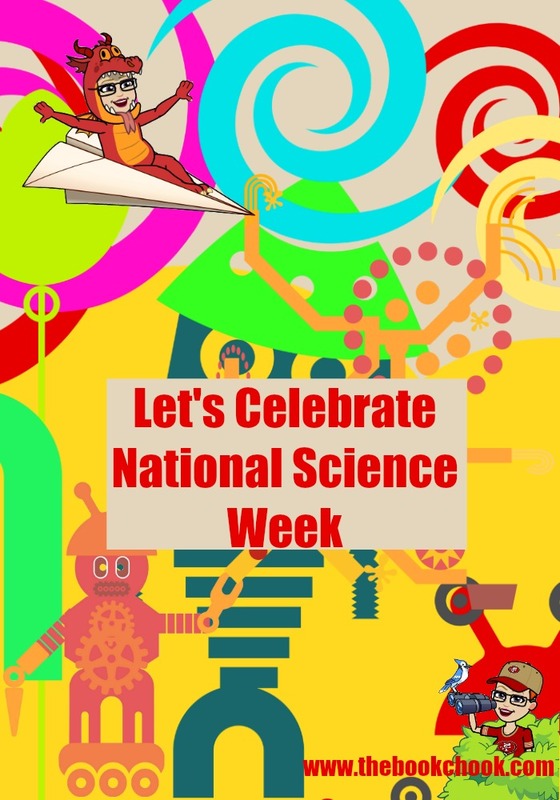 In Australia, National Science Week is from 11 - 19 August 2018. Let's put the spotlight on Science this week, perhaps by asking kids to notice things about science in their daily lives, sharing books with them, or even throwing a science-themed party! There are great educational resources available at the Science Week website, including a free 88 page interactive resource book or PDF called Game Changers and Game Makers. There are hundreds of excellent science resources at ABC Education! You can filter according to age and kind of resource. Don’t forget to check out the Digi-books! ARKIVE is said to be the largest natural world encyclopaedia online and is a great place to search or browse with kids. They have teacher resources, fun stuff for kids and videos too. Zooborns is mega cute. Check out all the news and photos of newborn animals. You can also filter by animal species. Maker Ed Resources and Maker Ed Activities, including a growing collection of maker space projects for kids. Not all are science-based but many are. Follow Directions and Fly - some resources on Flight. If you’re interested in children’s education, I have a stack of activity ideas entered around Children’s Book Week which is August 17 - 24 2018. You’ll find them in Ideas for Children’s Book Week 2018 and Book Week Activities for Kids 2018, Finding Picture Book Treasures and Finding Chapter Book Treasures.